This business centre offers a spacious office space which can be tailored in its size according to your needs. It is provided with car parking facilities and is available at a very convenient price. Close to the motorway network, it benefits from excellet transport links to Manchester Airport and to the railway station and is just a few meter away from an important shopping centre with numerous amenities. This centre offers unfurnished offices, workshops and storage space in a traditionally styled building. The building has 24-hour access and tenants will benefit from on-site meeting rooms and a cafe. Situated just 5 minute drive from Junction 2 of the M60 motorway, with communications further enhanced by both Stockport and Cheadle Hulme railway stations being close by. There are lots of car parking spaces and bike racks on-site. 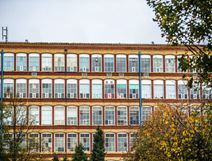 This landmark building is a grade II listed former cotton mill that now provides a variety of spaces including managed workspace, business incubation and studio-based accommodation to retail and industrial space. High quality offices to suit a wide variety of businesses, located north of Stockport town centre and offers cutting edge ICT and business support services. There is ample free parking on-site. Flexible accommodation in a modern business environment is available at this site in Stockport. This town is accessible easily by road, with many motorways in the vicinity. The offices available here come with professional service staff, 24-hour access and onsite car parking. Available with any level of help with furnishings, the building also features storage space available separately, or as part of a multi-deal bargain with office accommodation. A selection of offices is available to let in the heart of Stockport. This impressive building offers a wide range of services and facilities, including kitchen facilities, lifts, spacious meeting rooms technologically equipped, training rooms, parking facilities, elegant reception area and a high qualified staff offering secretarial and administrative services. Centrally located in Stockport, these offices are excellently served by public transport and surrounded by numerous amenities. Already established as a successful commercial centre, this centre has a dedicated team of administrative staff, who are experienced in helping to make every day’s business run smoothly. The eleventh floor of this building in Stockport, six miles from Manchester city centre, is divisible into suites of different sizes. Car, rail and bus access are all possible thanks to this prime location, plus a great range of retail options in the vicinity. These offices offer an extensive range of facilities, including IT support, free car parking spaces, CCTV, an on-site fitness centre, access to kitchen facilities and break-out and lounge space. Great transport links are available, with easy access to the M60, as well as Manchester which is located just over five miles away. In addition, there is a railway station within walking distance as well as several bus stops. This centre, situated in the heart of Stockport, offers a variety of furnished offices that are immediately available. The space has been finished to an excellent standard and comes with high speed broadband. The building offers reception services, kitchen facilities and 24-hour access to its tenants. The area is well-served by local buses and Stockport railway station is just over a ten-minute walk away. The beautiful office space provides high quality office space in a convenient location. With on-site car parking and within walking distance of Hazel Grove Railway, this office building is very accessible for commuters. The office space has many fantastic features such as; luxury kitchen area, great breakout space, free car parking and a free to use meeting room. The office space can be accessed 24 hours a day and have large windows, allowing plenty of natural light into the work space. This impressive building offers office spaces of various size available at flexible rental terms. Fully furnished to a high standard, these offices are provided with parking facilities, CCTV and monitored access control system and benefit from a reception area managed by a professional staff. 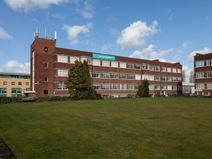 The building is conveniently located in proximity of a shopping centre and is easily accessible from the motorway. Located on the outskirts of Stockport town centre, this centre offers an exciting opportunity to businesses of all types. The space acts a blank canvas that can be customised to meet the exact requirements of your business. The property is accessible 24-hours day, features air conditioning, super-fast internet and a dedicated on-site management team. There are bike racks and parking facilities at the centre making commuting to work as hassle-free as possible. High quality offices are available in Stockport, at a convenient location just half a mile from the train station and right on a main bus route. The fully refurbished and decorated offices bear suspended ceilings and plentiful natural light through the windows, which are fitted with blinds for privacy as required. The location is 800 yards from central Stockport and its amenities. The building is fitted with male and female toilets on each floor, plus a disabled toilet and two lifts. Recently refurbished to a high standard, this centre offers a self-contained open plan office. On the first floor of a period building, there is a total of 2498 sq ft available. There is a fully fitted kitchen, secure car parking spaces and a store room. The building in ideally located in Stockport’s town centre, being only a few minutes’ walk away from Stockport’s bus and train stations. Merseyway shopping precinct is nearby offering an abundance of food and drink options. A range of office spaces are available here, and can be arranged as either open-plan or cellular suites. This is a high-quality serviced office centre, which enjoys a prominent location close to various major retail parks.